In the ninth century when the abbot Clement had the brilliant idea of grafting orange and mandarin, he could never have imagined he would be creating one of Nature’s most extraordinary fruits. Dark reddish in color, also called the blood mandarin, the Clementine is the size of a tangerine and has a peel similar to that of an orange. Our clementine belong to the SRA 89 variety, they have a strong taste and a perfect balance between the sour and sweet taste. In our whole farm we are used to irrigate through a special irrigation system: in fact this kind of irrigation system makes the terrain be irrigated close to the trunk and its roots. 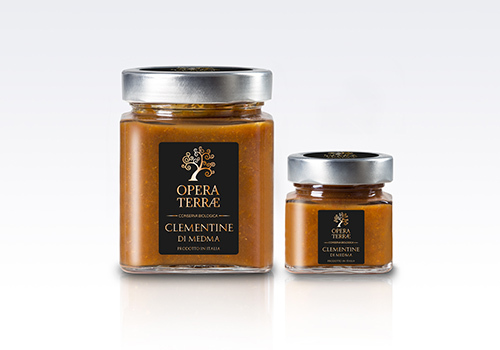 Organic clementine preserve without added sucrose. Ingredients: organic clementine, organic apple juice.